Mum and baby deer are so sweet and beautiful, the deers card will truly make the recipient swoon! The perfect card for sending love or best wishes to an expecting mum or woodland loving individual ♥♥. The Deers artwork has been printed onto a subtly textured, heavy weight card. 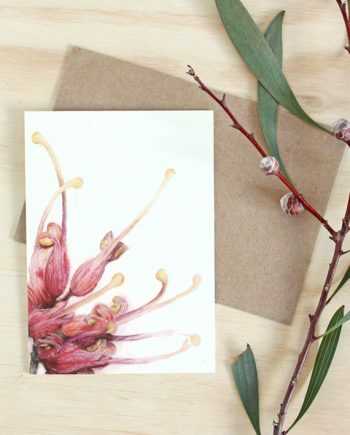 Each card has a soft warm white base colour and is supplied with a natural coloured Kraft envelope. 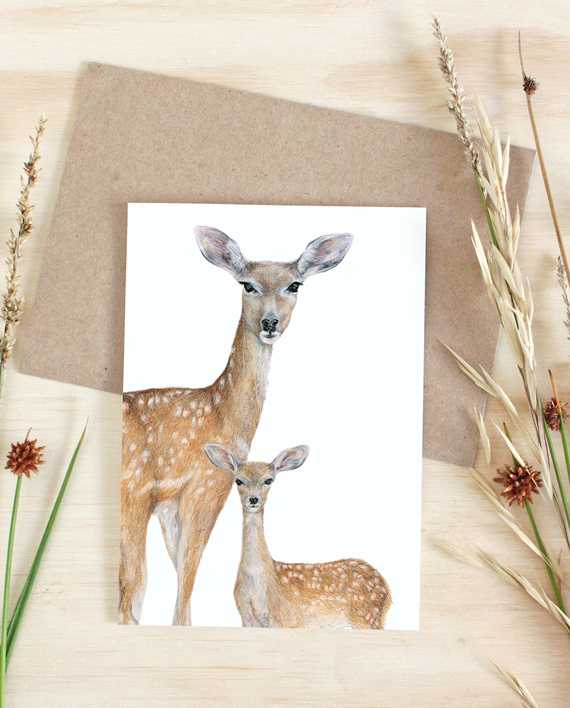 The Deers card has been left blank on the inside so that you can personalise with your own message. 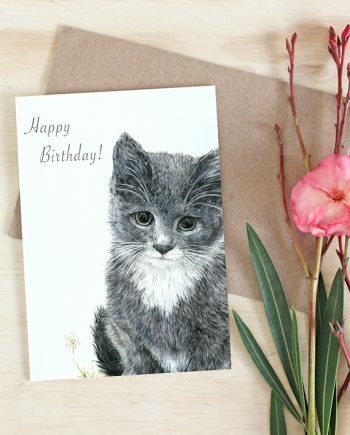 This beautiful artwork has been printed onto a subtly textured, heavy weight card. 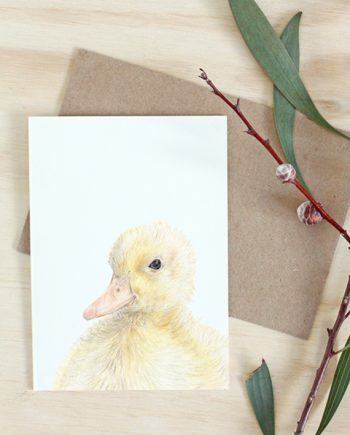 Each card has a soft warm white base colour and is supplied with a natural coloured Kraft envelope. 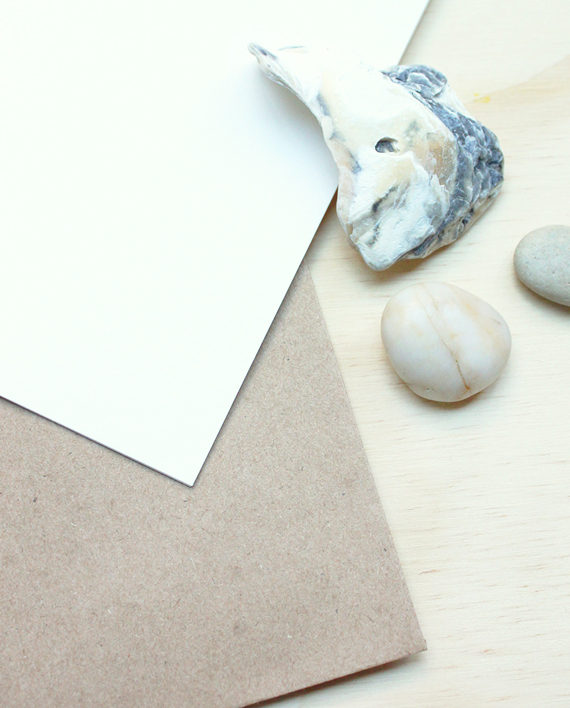 The Deers card has been left blank on the inside so that you can personalise with your own message.